Any one who comes to Chartres whether it be to visit the Labyrinth, to explore the magnificent medieval architecture or to meditate in the glory of this always sacred site, soon realizes that this holy place is an homage to Mary. The Sacred Feminine is alive and well in Chartres and has been throughout history from the time of ancient Druid worship of the Great Goddess to the honoring of Mary throughout the Christian epoch. In these pilgrimage days, we will create a sacred circle to explore how Mary has been honored in Chartres throughout history. We will meet her spirit through lecture, image, meditation, music and ritual. We will share our insights and stories. On Saturday evening, we will be in the Cathedral for a procession and candlelit labyrinth walk with flute and vocal music honoring the Marian tradition. 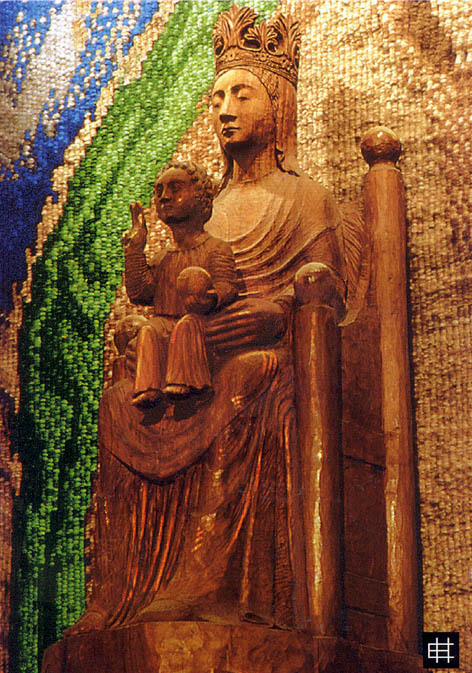 In 2004, Judith lived for 2 ½ months in Chartres and spent time each day meditating and praying in the chapel of Our Lady of the Pillar in a candlelit corner of Chartres Cathedral. This experience grounded her long time devotion to Mary and sparked her curiosity about Mary’s role in the medieval church and in the mystical tradition in Christianity. Judith is passionately interested in Mary’s current role in the reemergence of the sacred feminine in our time.